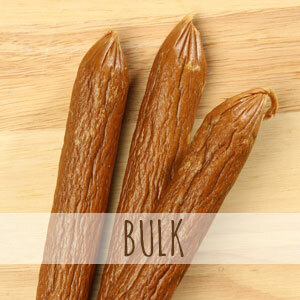 12-inch TURKEY SAUSAGE – As Seen on BarkBox. Great for training dogs of all sizes. Made with real slow cooked meat. 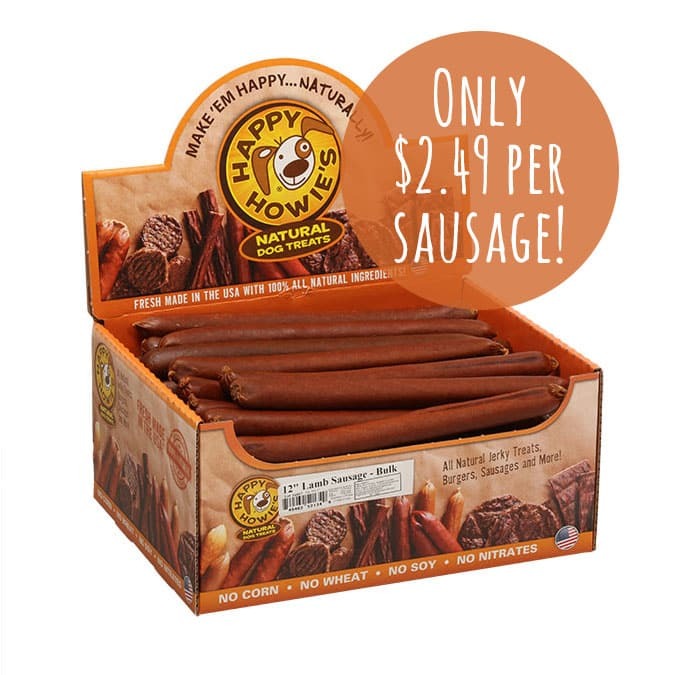 Case contains thirty six – 12″ sausages. 12-inch TURKEY SAUSAGE (36 count) – As seen on BarkBox, this slow-cooked turkey sausage treat is an excellent way to reward your dog. 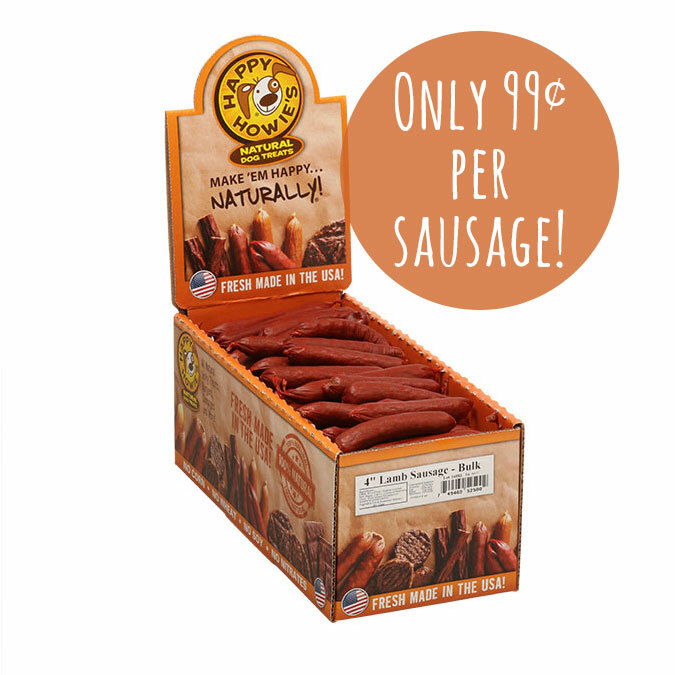 Made in the USA with all-natural ingredients and gluten-free rice flour stuffed in an edible casing just like in a real deli. 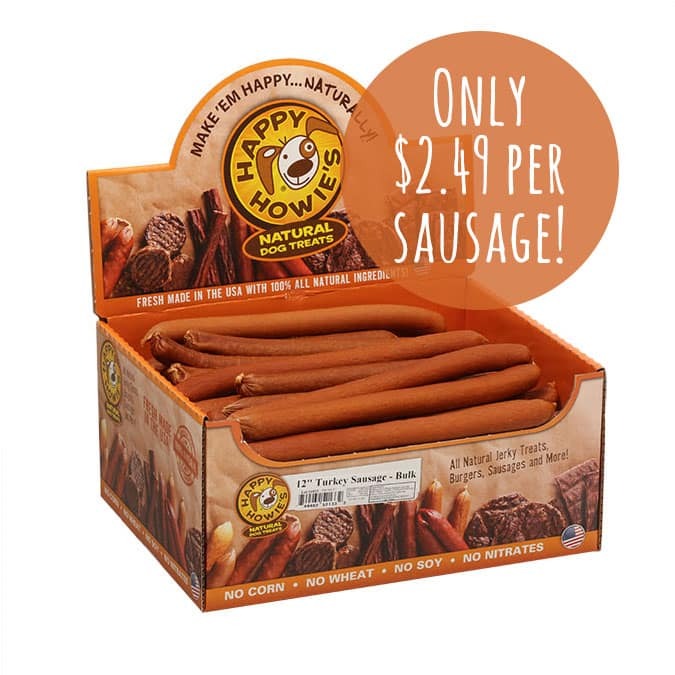 Only $2.49 per sausage! Ingredients: Turkey, Rice Flour, Sodium Lactate, Salt, Sugar, Dried Cultured Skim Milk, Garlic, Silicon Dioxide, Citric Acid, Mixed Tocopherols (a preservative), Vegetable Oil, Rosemary Extract. Made in the USA!